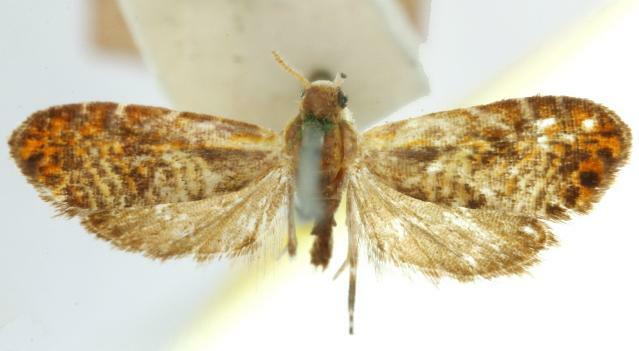 The adult moth of this species has a patchy brown forewings having a purple sheen, each with about a dozen pale and some orange narrow transverse stripes, and an orange area along the margin containing several large brown spots. The hindwings are plain brown, darkening at the wingtips. The wingspan is about 0.8 cm. Volume 38 (1913), p. 209.